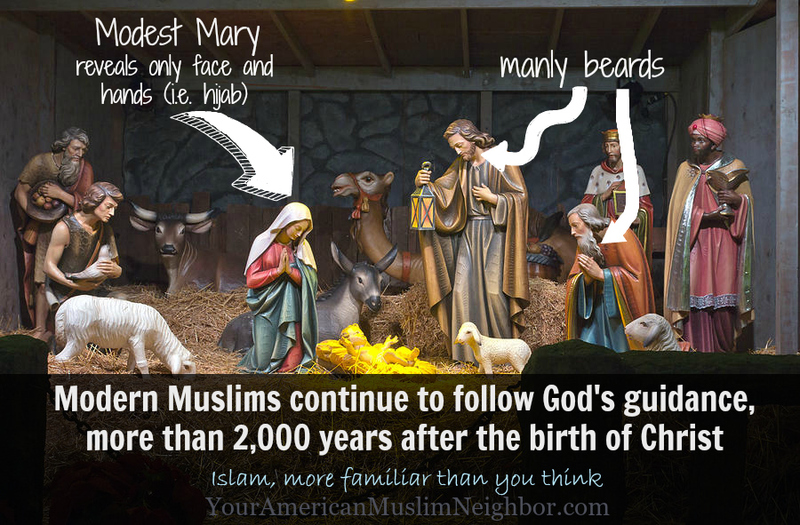 Muslims believe in Mary, the virgin mother of Jesus. We believe in Jesus the Messiah. We believe in the prophet John, Mary’s cousin, and John’s father Zakaria, also a prophet of God. In fact, we follow in their footsteps; at least we should, according to the Quran. Who were they? What kind of people were they? They were people utterly devoted to their Creator and Sustainer. People who kept God’s commandments, whose lives were focussed on seeking God’s pleasure and the ultimate reward of paradise. It’s always been essentially the same since Adam and his wife set foot on Earth: Worship none but the Creator of the Heavens and the Earth, follow His guidance and don’t lose sight of the purpose of life. And if you wonder: Why then, do so many apparently despise Islam? Remember that they wanted to kill Jesus. They tried to kill Abraham too. Jonah and Lot were rejected. Noah – he was ridiculed and spent the longest time calling his people to the truth, but only very few believed and followed him. Moses led his people and they made it so difficult, yet they found the worship of a golden calf… easy. This is the way it’s always been. If there are people slandering and smearing Islam today, it’s nothing new! If they disparage the prophet Muhammad, prophets were disparaged before him. So the question really is, where do you stand? If Jesus and Mary were alive today, would you be one of their detractors, or one of their followers? If you heard someone speaking ill of them, would you go and find out for yourself, or believe the hearsay? There is plenty of evidence Islam is not the strange religion some people would have you believe. Some of the evidence is right under your nose! Sometimes even on your neighbor’s lawn.